Directors and head of departments at AQTAR share in addition to skills, the passion to achieve outstanding results. Success is the driving force behind the team. Long experience, determination, qualifications, creative thinking and dynamic performance are qualities that can best describe the character and identity of AQTAR’s team of specialists. Abdullah Solaiman Elkhereiji graduated from California State University Long Beach, USA, he holds a Bachelor of Science degree in Construction Engineering Management. He has completed his MBA from Paperdine University in California, USA, majoring in Global Business Management. He is a Member of the American Institute of Architecture (AIA). American Institute Contractor (AIC), Saudi Council of Engineers (SCE) and Member of the International Student’s Association of USA (ISA). He joined Elkhereiji Group after graduating in 2002, he was appointed in the construction field as Site Engineer and 3 years later as Procurement Engineer. In 2008, he became Business Development Director, his main areas of expertise are Business Intelligence, Management of key client relationship, assessing Sustainable growth opportunities. Financial forecasting & Budgeting. 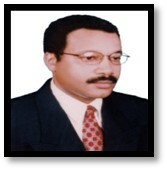 Holder of Masters of Law from University of Georgia – US, Abdul Samie has over 20 years of practical experience in legal investment and banking advisory. Working with multinational financial institutions and well recognized corporations in the US and GCC countries. Extensive knowledge and experience in corporate structuring and Islamic financing and Sukuk issuance As part of the Islamic Development Bank team to launch first 400million Euro Islamic Sukuk to be issued by IDB in 2001. Advised and helped in structuring private investment placement and fund creation in the real estate and the transportation and logistic industries within the Saudi and UAE markets. Founder of Aqtar LLC and current CEO of the company. 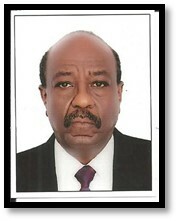 Is a Ph.D. Holder and former minster in Sudan government. Dr. Tag is considered reference in his career with 26+ years of experience, covering: financial services, investment, wealth management , designing and reviewing portfolios, exploring new financial products and different mutual funds. 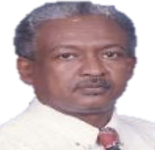 In his long career expertise with NCB and other financial institutions, he worked in the position of: Direct Investment Manager, Portfolio Manager , Banking Relations, of Economic Research and Statistics Department, and other key positions. Dr. Tag experience also covers : IPO's, Mutual Funds Real Estate, Real Estate Funds, funding requirement, establishing business entity as necessary, review legal, tax issues, monitoring performance of the investments and exit strategy. 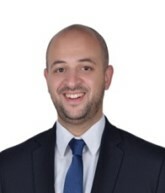 Alsharif Faisal Alabdaly has graduated from King Abdul Aziz university with bachelor degree, he has Professional experience in PR for more than 10 years. Faisal is highly known as Social media and PR specialist running professional PR agencies, public affairs and corporate communications professionals Faisal has built Communications strategy throw his public relations and corporate communications strategy, particularly integrating PR into the overall communications strategy. Holder of Ph.D. in Islamic Banking & Finance from Loughborough University – UK and MBA from Sul Ross State University – US in addition to CPA and CFC. Dr. Hussein is considered a reference in his career working at executive level positions offering career opportunity with quantitative problem solving ability in relation to Financial Analysis and related disciplinary such as Budgeting, Budget Analysis, Project Appraisals Cash Flow. In his long career, he contributed to the development and success of key organizations working in the position of CFO for SAMACO, Director of Corporate Finance at Alesayi Group and lecturer of accounting and finance at Loughborough University. His experience covers EURO Exposure, capital budgeting, facility negotiations with banks, investment analysis, feasibility studies and appraisal and projects development. Dr. Hussein leadership is well expressed in AQTAR’s Investment, Placement & Finance department. Holder of Masters of Law from the American University, Washington, D.C. – US, and also has Master of International Law from University of Khartoum, Sudan. Hisham is Attorney at Law, and Senior Legal Counsel with 28+ years of experience, covering the following areas: Corporate Law, Real Estate, General Legal Counseling, Corporate Governance, Marine Law, Financial Law, Hospitality Business, Merger & Acquisition, Aviation Law, Foreign Capital Investment, Oil & Gas, International Arbitration, International Contracts, Banking Law and Corporate Governance. Countries of Practice Hisham has worked in during his long, international experience, include: USA, UK, Germany, Portugal, Switzerland, Netherland, France, Austria, Canada, Turkey, UAE, Qatar, Saudi Arabia, Lebanon, Syria, Iraq, Jordan, Oman, Mauritania, Egypt, Yemen, Sudan, Kenya, Ethiopia, Uganda, Malaysia, Thailand, Singapore. 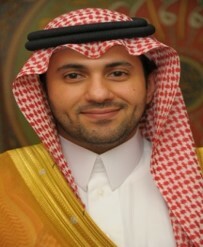 Hisham is a lecturer of law and member in many international law associations. MBA - Accounting from University Of Phoenix – AZ .USA CMA (Certified Management Accountant), HIGHER DIPLOMA OF TECHNOLOGY IN BUSINESS INFORMATION SYSTEMS& MANAGEMENT (B.I.S.M). Marawan has more than 22 years of a proven track record expertise in the field of financial reporting, risk management, business strategy development and implantation, feasibility studies, cost management, corporate finance, investment decisions, financial due diligence, and leadership. PROFESSIONAL DEVELOPMENT : Preparing & Controlling Effective Budgets, Customer & Project Life Cycle, Touch-Map, Policies, Process and Procedures, Financial Modelling in Excel, IFRS PPE & Intangible Assets, IFRS- Financial Instruments, Business Ethics & Corporate Finance , Risk Challenge Culture.. Graduated from Omdurman Islamic University, Faculty of economic and social sciences - Major Accounting. MBA from Edinburgh Napier University – UK, MBA from Sikkim Manipal University - India, CFC (Certified Financial Consultant). 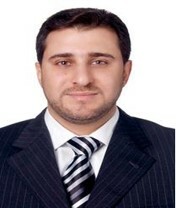 Khamis worked in the field of finance and accounting in FMCG sector for more than 14 years. Since 2012 moved to business development sector working on the areas of financial modelling, financial structuring, due diligence, financial analysis and feasibility studies. Certificates: Leadership & Team building, Time management, People Evaluation, Loss Analysis, Coaching, GATT Training, Financial Statement Analysis & Performance Evaluation, Saudi Technologies - KSA, Evaluation and Development of Functional Behaviour & Performance, AMETRAC – KSA. Khamis now plays a major role in the Corporate Advisory department at AQTAR catering for the needs of the Development Management department. Holder of MBA from University of Strathclyde in Glasgow, Khaled has over 15 years of experience in the communication industry working with multinational advertising agencies and regional organizations on launching brands and developing communication campaigns. Substantial communication and marketing work on Shell Corporate and Shell Lubricants, Tanmiyat Corporate, Living Legends, and many other brands in the UAE and Saudi markets resulting in substantial brand performance. Khaled is specialised in creating, promoting and positioning of brands managing all branding and corporate identity requirements to achieve brand leadership. His planning and strategy development skills are driven by a creative character and eagerness for challenges with the ability to lead and brief creative teams of various cultural and ethnic backgrounds. Established and led several marketing departments with PR, Advertising, Events, Media and CRM teams. Khaled is now leading the marketing and communication department at AQTAR. Samir B. Kada holds a Bachelor degree in Business Administration and Management form KCB Collage and University in London, UK. With more than 10 years of multi-national experience in Business start-ups and strategies. He is highly recognized for delivering the very highest quality of work, producing strategies and solutions for his company. Ensuring strategic delivery of projects from inception to completion; maintaining relationships with key personal whilst developing the practice’s to deliver through innovative and sustainable solutions. Graduated from University of Khartoum, Faculty of science – M.Sc. in Finance from the University of Strathclyde, Strathclyde Business School, Glasgow , England. Gasem is an investment advisor with more than 40 years of a proven expertise in the field of investment funds analysis, investment management, financial consultancy, investment banking and Islamic finance, and corporate finance. Saudi Capital Market Examination (CME-1), Passed the Saudi Capital Market Examination (CME-1) Part -1 Regulations & Part- 2 Securities Transactions, General Securities Qualification Certificate. 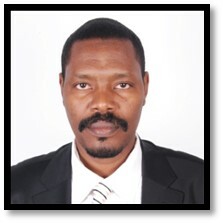 Gasem is currently Head of Mutual Funds Unit at Al-Nefaie Investment Group. Holder of MBA from Sudan University of Science & Technology. Nagi is highly skilled in needs assessment, strategic planning, establishing priorities and delegating tasks, motivating teams to reach for their best and following through to ensure success. With high sense of commitment to develop and meet the set strategic objectives, Nagi has over 14 years of experience in the commercial and marketing industries, leading teams of sales and marketing managers. Worked as General Manager at Switch Co. Ltd. for Trading & Engineering performing an active and significant role in the development of new business relationships. Consultant to Tanmiyat Group (Saudi Arabia), Syscom Company Khartoum and STEPS INTERNATIONAL FOR TRADING & INVESTMENT C0. Currently, Nagi is the Business Development Director at AQTAR. Holder of Masters of Applied Finance from the University of Melbourne – Australia. Bronsan is experienced in Islamic banking, finance, investment and dedicate his knowledge and skills toward the economic and social development of Islamic communities throughout the world. His educational, as well as professional background have shaped him into an individual with an immense interest in Islamic banking, finance, and investment. Bronsan worked as Manager for Strategic Financial Products in PT Bank Sumitomo Mitsui Indonesia (Japanese Bank). He is experienced in mergers and acquisition advisory service for investment opportunities, analysing business alliance possibilities, analysing financial statements, research and feasibility studies. Bronsan is now Manager at AQTAR’s Investment, Placement & Finance department. AQTAR LLC is technology driven and can be considered the Future of clean and cheap power solution to most of the world applications and needs. The present world wide boom in solar matched by an equally large R & D efforts. A wide range of technologies from conventional silicon to organic based cells is being investigated. We are happy to answer all your queries. Please find our working hours.